For me they epitomise those high minded Victorians who decided that it was in the public good to not only have an antidote to the dark satanic mills and grime of the suburban sprawl in the form of public parks and green spaces, but that they should obviously feature a heavily ornamented, cast iron focal point, under which the band should, quite literally, play on. Play on through the inevitable summer downpour, but also through the gradual decline of their own high mindedness and sense of place in the world. They are glorious features in and of themselves, but represent so much more. Tibetans had chortens; Victorians had bandstands. 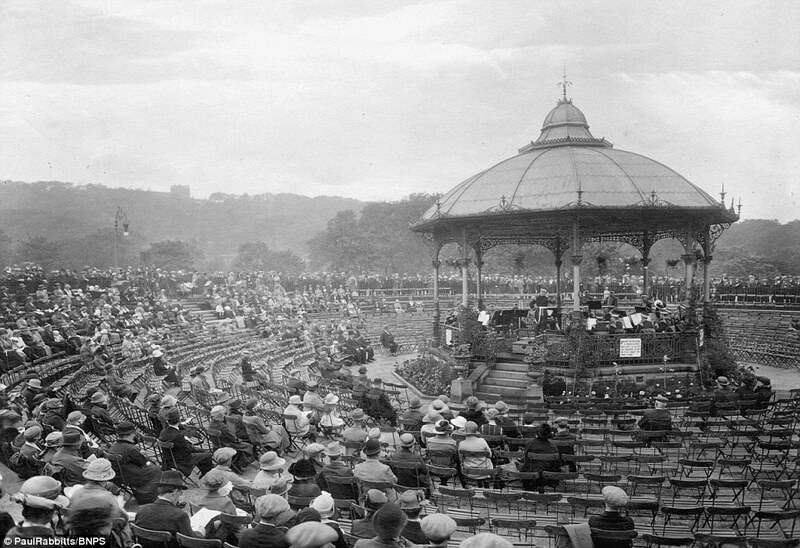 The first bandstands were were built in the Royal Horticultural Society Gardens 1861. Like most things Victorian and elegant they therefore took their rise in South Kensington before eventually congregating on the South Coast. From their inception they quickly spread to almost every British town and city, and were popular places to meet and listen to music… a sort of semi official public performance space. The wars were not kind to them however, and while Britain listened to the wireless in the dugout rather than open spaces (for good reason), the iron railing and ornate castings were melted to make weapons and artillery. 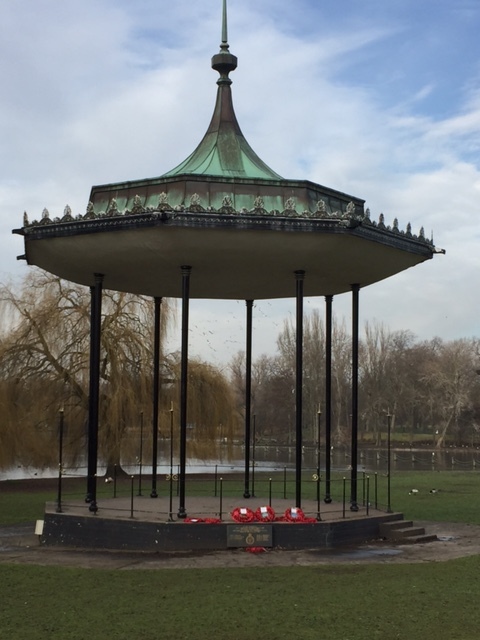 Between 1979 and 2001, more than half of the 438 bandstands in historic parks across the country were demolished, vandalised, or in a chronic state of disuse. It is therefore not surprising that most people my age see them as faded, dated, folly. 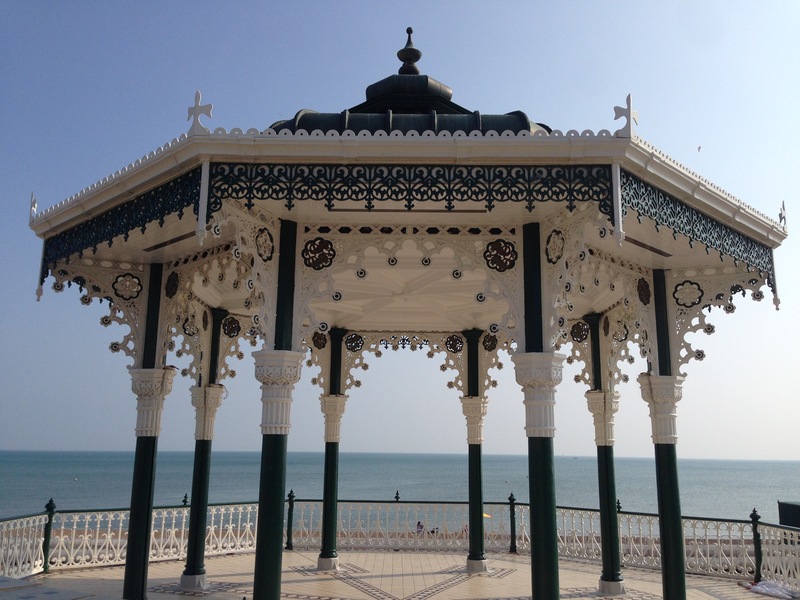 In the late 1990s the Heritage Lottery Fund invested a substantial sum in the restoration and rebuilding of bandstands across the country, and one such example graces the Brighton sea front (see above). Known as The Birdcage, I was lucky enough to poke about it last weekend, while my poor family looked on somewhat bemused. The bandstand in Corporation Park, Blackburn. Note ubiquitous overcoats and hats! 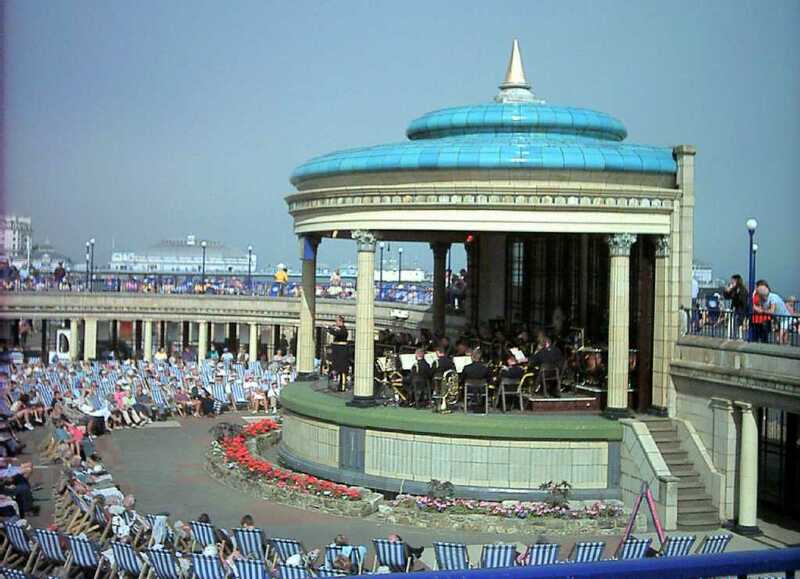 Eastbourne also boasts (quietly) of another example, and they even use it for gigs and concerts!